Kwekerij Wouters is one of the largest producers of potted and bedding annuals serving the European DIY retail segment. They had a vision to create an eco-friendly product line, and the result is ‘Friendlies’ – flower pots made from paper that are planted straight into the ground, pot and all. The key component of Friendlies is the ‘friendly’ degradable paper, supplied by Ellepot, which is FSC-certified. The certification means that the paper is responsibly sourced, which is in line with Kwekerij Wouters’ eco-friendly vision. 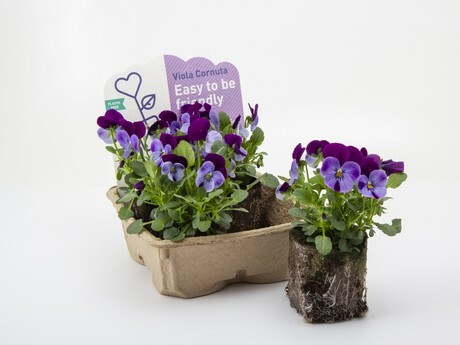 The product is delivered as a set of four plants in a recyclable box made of paper pulp. Described by Kwekerij Wouters as an “eco-jacket made of paper, which is absorbed by nature after planting”, the Friendlies concept is proving to be a hit with end-consumers too. 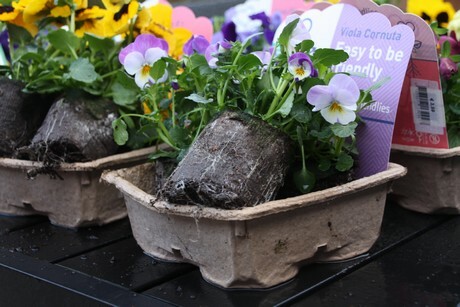 No plastic means that consumers don’t have to pull the plant from plastic pots, resulting in less root damage, reduced transplant shock and a healthier plant. Kwekerij Wouters expects the demand for Friendlies to grow in the coming years as retailers, driven by legislation and consumer choice, consider a plastic exit strategy as a necessary development in their supply chain strategy. “At Ellepot, we applaud Kwekerij Wouters’ new and exciting eco-friendly Friendlies product line, and we’re happy they’ve taken this big step towards sustainability and have chosen Ellepot to be part of it,” says Lars Steen Pedersen, CEO of Ellepot.